The Oceano Train Depot is in near-original condition as when it was in use. People can tour a real turn-of-the-century train depot that remains virtually untouched from when it was in use. The Oceano Depot was once the most important building in South San Luis Obispo County. All passenger, freight, telegraph, and mail service passed in and around the Depot. As the years go by, the importance of saving these precious relics of the past becomes more apparent as more and more depots are being lost to the wrecking ball or the elements. People visit from all over the country and many remark how their community once had an old depot and it was torn down or burned and they feel the loss. The Oceano Train Depot is in near-original condition as when it was in use. People can tour a real turn-of-the-century train depot that remains virtually untouched. Housed inside the walls are not only artifacts from the railroad, but historical photos and artifacts from the community itself dating back to the early 1900’s. Railroad buffs and old train men love to tell their stories of working on the railroad and give instructions on how to use certain equipment or the history of railroad artifacts on display. When school children visit, they are enthralled with things like the old post office boxes, coffee grinder, jukebox, and all the things they have never seen before. Older visitors get very nostalgic when seeing things that were important to their daily life years ago. The Oceano Train Depot is a 100% volunteer project and our volunteers are especially proud when they bring their friends and family for a visit and get to show them their handiwork. You hear “I painted that,” “I planted those flowers,” or “I helped put that together.” Once something is gone, it is gone. That is why the volunteers and donors to the restoration and preservation of the Depot are especially proud of what has been accomplished in preserving this wonderful piece of history for future generations to enjoy. 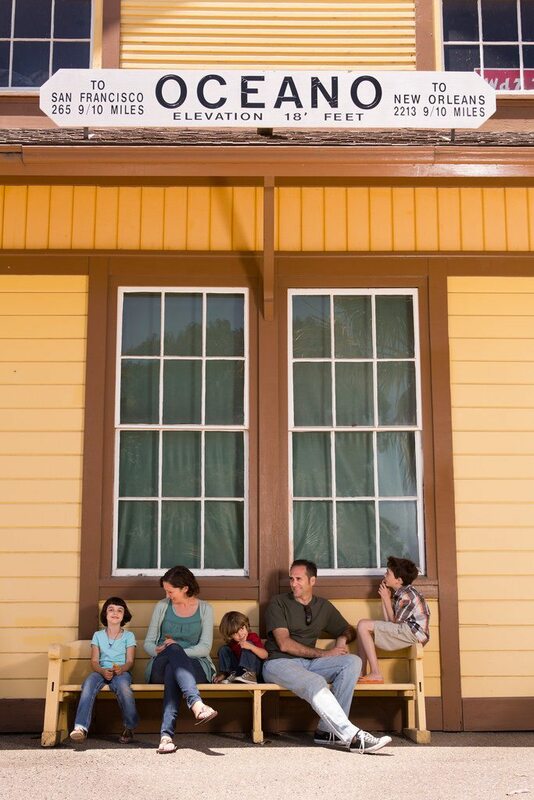 The Depot is open to the public on Sundays from 1pm to 3pm and by appointment at (805) 489-5446. Model Railroad and Historic Depot Restoration Days is held the last weekend in January each year. The event is from 10am to 4pm both Saturday and Sunday, with restoration activities from 2pm to 4pm.